Desmotherm® is an aromatic, self-crosslinking urethane resin used primarily as a binder in one-component (1K) stoving polyurethane systems. 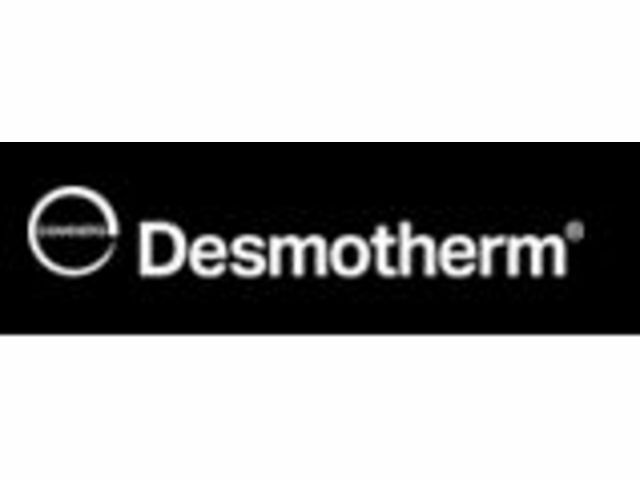 Desmotherm® resin is ideal for highly flexible primers, intermediate coats, primer surfacers and thin coil-coating primers. As an aromatic, self-crosslinking stoving urethane resin, Desmotherm® from Covestro contains both the polyol and blocking agent or hardener necessary for crosslinking. These material characteristics are key influencers in the quality and performance of a finished coating. Desmotherm®-based systems are used as primer surfacers in automotive OEM finishing. The properties of films based on Desmotherm® are largely independent of the stoving conditions. The film properties are customized by combining various polyesters from the Desmotherm® urethane resin grades, amino resins and flexibilizers. When formulating coatings with Desmotherm®, temperatures should not exceed 60° C or a crosslinking reaction will start. Optimum film properties are obtained after approximately 30 minutes at 130° C. Overbaking at approximately 180° C is possible without any significant deterioration in film quality.